I think just about everyone who likes home made soup will have made a variation on this soup at some point, and I am in no way claiming that this is something I have invented all on my own. In fact, this is a variation of the soup my Mum makes, which is a variation of the soup she learned at Weight Watchers when I was a young teenager still living at home. That is a nice little thing for me because this soup has become something of a comfort food... it reminds me of autumn evenings at home just me and Mum, all cosy and warm. It makes me smile! 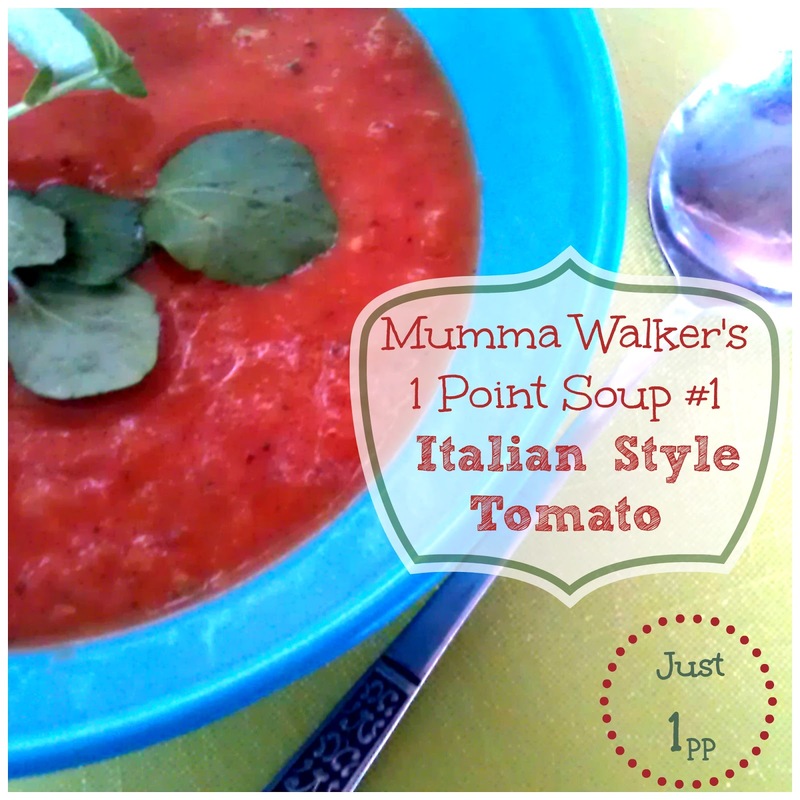 It is based on one of the Zero Point Soups you can find on Weight Watchers, but I have made some changes which means there ARE points in it. But not much, and it tastes better (in my opinion). So... This is what goes into my version of this soup. Roughly chop the onions and peppers and gently fry in the oil. Once the onions start to go translucent add the courgette and garlic. Cook on a medium to low heat, stirring to keep from sticking. Once the courgettes start to soften stir in the tomatoes, herbs, sugar, and ketchup. Then make up the pint of stock and add that. Season with salt & pepper to taste. I like it quite peppery which makes it very homely and warming! Leave to simmer for 5 mins and then blend. I use a hand blender and keep it quite chunky! I find this makes 6 nice bowls of soup. The whole pan makes up 4 pro points, but the Weight Watchers recipe builder makes it 1 point for bowl. We eat it with a medium/large roll of bread (local bakery makes nice ones for 6 points each).